Susan Elrod named chancellor at IU South Bend. Susan Elrod has been named chancellor of the Indiana University South Bend campus effective July 1. Elrod currently serves as the provost and executive vice chancellor for academic affairs at the University of Wisconsin-Whitewater and is a nationally recognized leader and scholar in STEM higher education programs and institutional change. 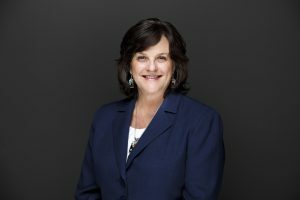 During her time at the University of Wisconsin-Whitewater, Elrod has used a shared leadership approach to implement the university’s strategic plan, including enrollment management and student success initiatives. Those initiatives were geared toward increasing student recruitment, engagement, retention and graduation, as well as expanding UW-W’s access mission to a broader population of students and adult learners. She has been a champion of faculty and staff development initiatives, community partnerships and sustainability efforts. Elrod’s previous experience includes serving as interim provost at California State University, Chico; dean of science and mathematics at Fresno State; director of the Center for Excellence in Science and Mathematics Education at California Polytechnic State University, San Luis Obispo; and director of Project Kaleidoscope at the Association of American Colleges and Universities.